Please email h8577@sofitel.com to book. 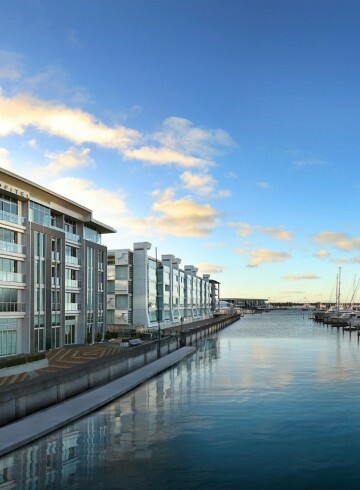 Step into the recently refurbished Opera Suite and immediately be swept up in the expansive views of Waitemata Harbour and Auckland cityscape. 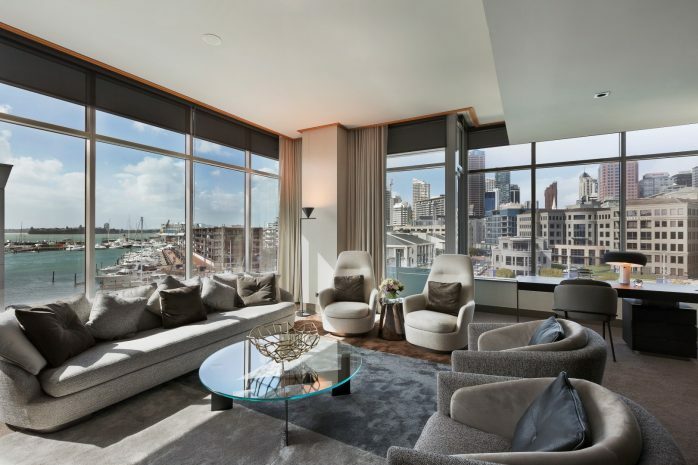 Residing on the top level of Sofitel Auckland, the Opera Suite’s floor to ceiling windows allow a full immersion into the vista. 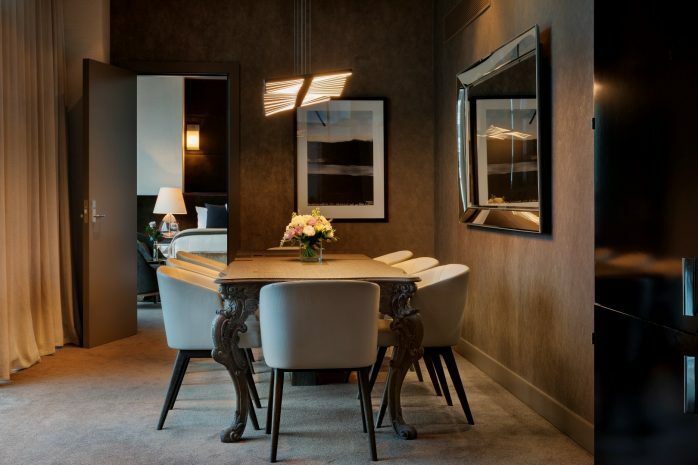 Fusing contemporary design with classic French style, the Opera Suite’s ambiance is designed to relax and luxuriate. Elegant lounge chairs you won’t want to leave and recently awarded “Best Seating” in the International Design Awards. Super stylish “Snoopy”, one of the world’s most iconic lamps, lights your writing desk just enough to let you see the glistening water and city skyline when you lift your eyes. A palette of white, grey, beige and brown evokes a feeling of complete serenity, while delicate gold and silver accents place a contemporary twist on the lounge with a grand sofa and dining space, completely separate to the bedroom. The hand carved oak, 8-seat dining table features old and modern woodcraft, while an avant-garde ‘Rhythm Pendant’ floats above and illuminates the your dining area. 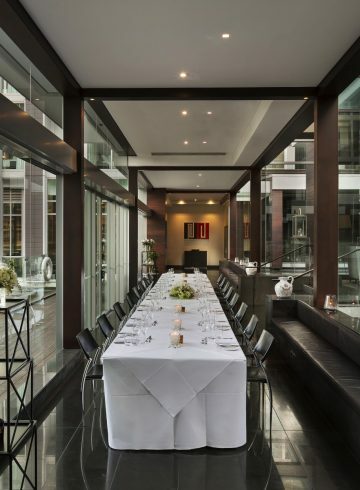 Each space houses an intricate collection of objet d’art, purely designed to spark your imagination and conversation. 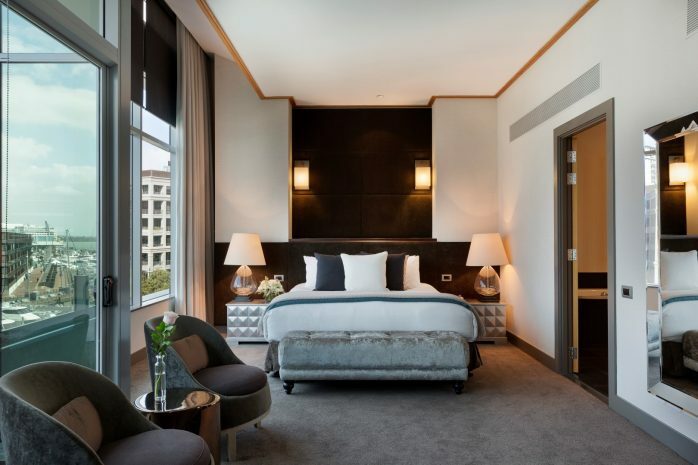 Private glass creates the ultimate in privacy as your Sofitel MyBed™ awaits you in the oversized bedroom where after a restful sleep, you’ll wake to the sublime views of the private marina.